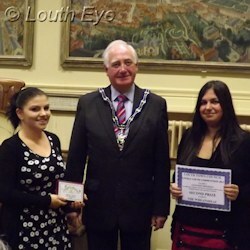 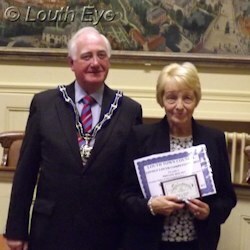 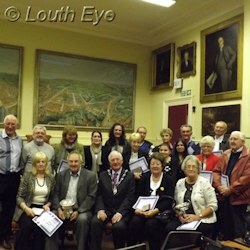 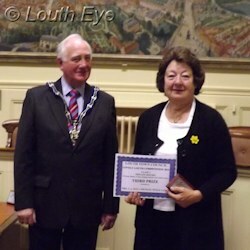 The annual Lovely Louth awards ceremony took place in Sessions House on the evening of 1st October. 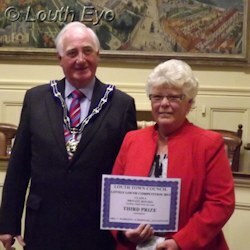 The Mayor, David Wing, handed out prizes and certificates for the people who won. 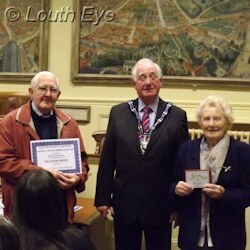 He noted that the town had won a Silver Gilt award for East Midlands in Bloom this year, and expressed the hope that next year Louth will get a gold. 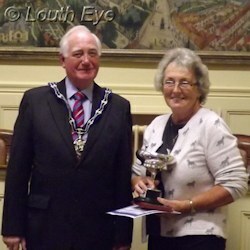 Many of the winners were the usual suspects. 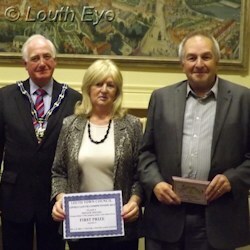 Lakings of Louth, winner of this year's Shops and Business category, also won in 2011 and placed second in 2012. 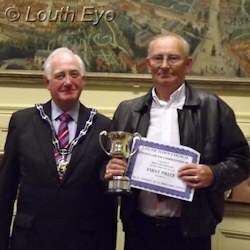 Similarly the Wheatsheaf, The King's Head and the Woolpack Inn were the top three award winners in 2012 as well, although the order was different. 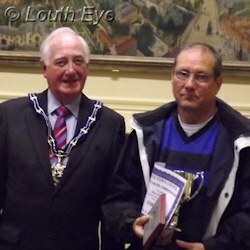 In the fourth category, Ken Addison has come first for at least three years in a row (which is as long as I have records to hand). 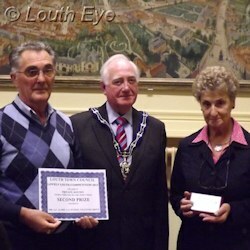 There is a new category, for perennial planting visible from the road, which was included to encourage sustainability. 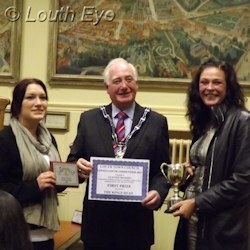 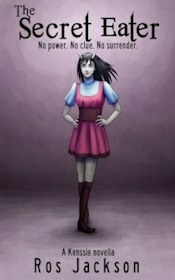 Since entrants are only allowed to compete in one category, this opens the awards up to new people somewhat.